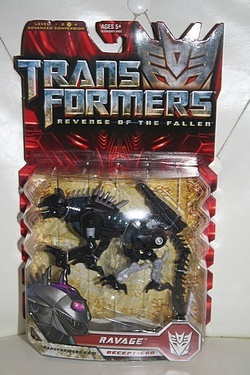 I think Ravage is one of the best figures they have done yet for ROTF. Speaking of which - did you see it yet, Charlie? and what did you think? You know - I still have not! I just haven't been able to bring myself to see it yet, but probably will this weekend so I can at least bash it with some semblance of authority. I am, of course, interested in your reactions!